≈ Comments Off on BALLOTPEDIA’s Judicial Misconduct Reports. BALLOTPEDIA has all types of interesting information. If you want to browse, here is the link to its Index of Contents: http://tinyurl.com/k8u4p6h. The section that caught my eye was its monthly judicial Misconduct Report. The monthly Misconduct Report discusses judges facing complaints or formal charges of judicial misconduct across the nation. The report includes updates about judges charged with misconduct during previous months, as well as the results of completed investigations. Note that any misconduct or other charges mentioned in our stories should be considered allegations, unless otherwise indicated. . . .
Apologizing Even When It’s Not Your Client’s Fault. ≈ Comments Off on Apologizing Even When It’s Not Your Client’s Fault. [A]s we’ve noted before, letting jurors, judges, and opposing parties hear an apology can be effective when you are responsible, or are likely to be found responsible, for at least part of the damage at issue in the case. But what about when you’re not? Does that second kind of “sorry,” meaning “I recognize your loss, but without accepting responsibility for it” create a persuasive advantage as well? 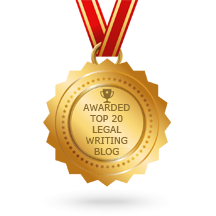 According to some new research, yes, it does. . . .
Key Elements of Great Legal Writing. ≈ Comments Off on Key Elements of Great Legal Writing. Those august names all deserve heaps of praise. But the fame that these judges enjoy raises questions of its own: Can you write a “great” opinion if you’re a judge who’s not a household name, or even especially influential? And can you write a “great” opinion in a case that’s not a high-profile constitutional crisis, but just another run-of-the-mill dispute in an overflowing docket? I say “yes” on both counts. No matter how routine a case, and no matter how little time you have, you can write a great opinion. It may not be “great” for the ages, but it can offer readers a clear, accessible, and easy-to-follow analysis of your reasoning, with even a bit of flair or personality for good measure. . . . Judges and Political Campaign Contributions in Pennsylvania. ≈ Comments Off on Judges and Political Campaign Contributions in Pennsylvania. 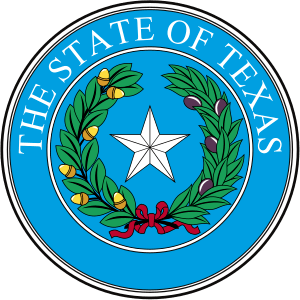 Have you ever been hammered in court, and then learn that the judge has received large – maybe Texas-sized – political campaign contributions from opposing counsel? We have, and it’s not a good feeling. “Hercules and the Umpire” and Other Judges’ Blogs. ≈ Comments Off on “Hercules and the Umpire” and Other Judges’ Blogs. 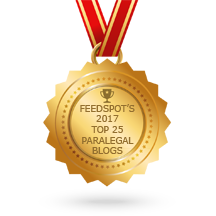 Last summer, Law Technology News published my article, Blogging From the Bench, in which I surveyed the fairly paltry number of judges who blog. In a subsequent post here, I added more blogging judges. Yesterday, after writing 416 posts in the last year that generated some 425,000 page views and 3,700 comments, Judge Kopf announced the end of his blog. Courtroom Body Language – How to Read It and Use It In Court. ≈ Comments Off on Courtroom Body Language – How to Read It and Use It In Court. The most brilliant trial attorneys seem to have a natural instinct for reading people, knowing intuitively what a nod from a juror or glance from a judge implies. For the rest of us, there’s this handy cheat sheet that breaks down some of the most common body language exhibited in the courtroom. You can use it to modulate your own behavior, train your client, or gain additional insight into opposing counsel, judge and jury. Texas’ Backlog of Federal Judicial Vacancies. ≈ Comments Off on Texas’ Backlog of Federal Judicial Vacancies. Federal courts that handle Texas cases have nine vacancies and until last week, no nominees, accounting for more than 20 percent of empty benches nationwide. One of those came open more than five years ago. The predictable result: backlogs and delays, especially in civil cases. “The nuclear option will not change the logjam. The White House is not going to nominate anyone from Texas until it’s clear the senators will approve them,” said Royal Furgeson, dean of the University of North Texas Law School in Dallas, planned to open next year. He called the persistent vacancies ‘a giant problem,’ and he would know; he’s the judge who stepped down in November 2008 from a San Antonio trial court.